Series documenting the work of the Crown Prosecution Service. They deal with two violent domestic murders and an assault victim whose attacker has not been prosecuted. The Crown Prosecution Service is often under scrutiny for its decision-making. Now for the first time the CPS has allowed cameras in. Filmed over 18 months with prosecutors in Merseyside, Cheshire and the south east, including the director of public prosecutions, Alison Saunders, this groundbreaking series goes behind the scenes to reveal how our criminal justice system really works and what it takes to secure a conviction. Each episode focuses on a different part of the process, following prosecutions and those involved in the case from start to finish. In this episode the prosecutors deal with two violent domestic murders and the victim of an assault who is unhappy that her attacker has not been prosecuted. In 2014 the police brought prosecutors over 100,000 cases of violence against women to consider. In a quarter of the cases, the CPS decided a prosecution could not go ahead. Viv Driver-Hart can't remember the details of the assault against her, but a huge chunk of her hair had been ripped out and she'd been knocked unconscious. Now she's written to the CPS to appeal their decision not to prosecute under a new initiative, the Victims' Right to Review. 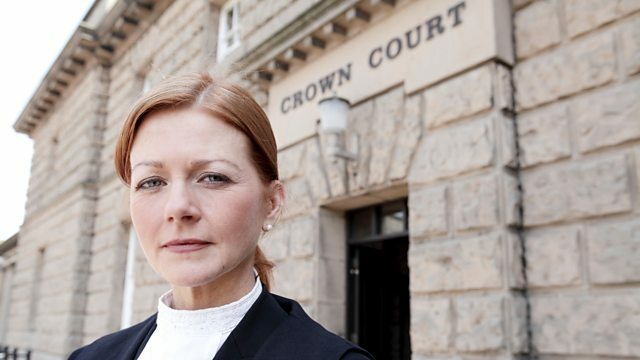 Chief crown prosecutor Claire Lindley oversees all prosecutions in the Mersey-Cheshire area. The decision not to prosecute Viv's attacker can only be overturned with her approval. But every decision, however difficult, must be based on the evidence. Proving that the defendant committed the offence they are charged with is essential to secure a conviction. A jury must be convinced that the prosecution team has produced evidence and presented the case so as to leave them in no doubt of guilt. Prosecutor Richard Riley deals with two murder cases of women who have been killed by someone they know. In both cases there appears to be overwhelming evidence against the defendants. Police find Paul Fox attempting suicide, with his mother dead downstairs, and a note he's written, 'Warning Dead Bodies'. A witness sees David Hoyle leaving the scene with a knife, where his girlfriend has been stabbed. As the cases develop, it becomes clear that securing a conviction is never straightforward. Three-part series documenting the work of the Crown Prosecution Service. Visit our interactive pages to see how you’d prosecute a modern slavery case.